Genesistm stock models are equipped with a thermostat control that offers convenient digital display of enclosure temperature and high temperature alarm (125℃/52℃) Flashing display indicate alarm condition . EMI/RFI noise suppressor and UL/CUL and CE are standard on stock models. 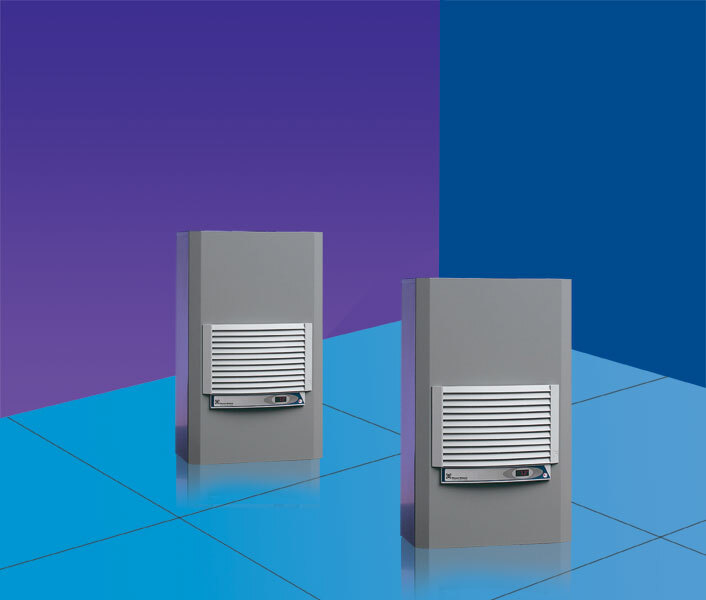 New Genesis TM 28 models offer : improved aesthetics with no changes to the major internal components so airflow and performance are the same as the corresponding Slimboy models ; unique condensate management system evaporates moisture from enclosure and eliminates drain tubes ,buckets and wet floors in tyoical applications ; and EZ Mount flanges simplify installation to a two-step , one �Cperson job . Genesis TM units are directly interchangeable with the comparable Slimboy Series. A field retrofit plate is needed only when mounting the GenesisTM28 to an old Slimboy model cutout .Plate is free upon request . For Simplify28 models with side mounting rails , field retrofit plate part number is 28-plate . For other mounting configurations ,contact the factory . The Mid-Size models offer universal sizes and a broad performance range making them some of the most popular in the industry. High CFM ball-bearing centrifugal blowers are ideal for densely packaged enclosures . Most components accessible by removing air filter . Mounting gaskets, drawings and instruction manual furnished . 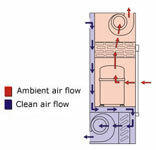 Within the air conditioner , the recirculated clean enclosure air is kept separate from the ambient air flow system . This protects the electronic controls and prevents shutdows caused by heat humidity , dust and other contaminants .